Our popular Antique Brass Reeded Ball Finials are the perfect companion for your brass curtain poles ensuring they will look fabulous for years to come in whichever room they are fitted. 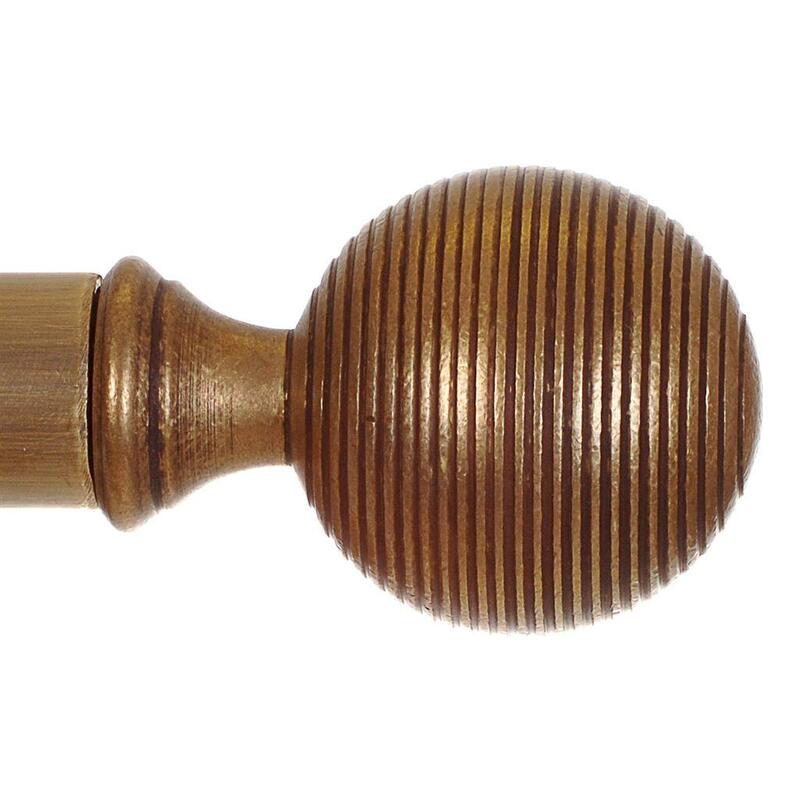 These button finials are designed to slide into the end of our 25mm brass curtain poles and have a classic, weighty quality that will give you endless pleasure looking at them. 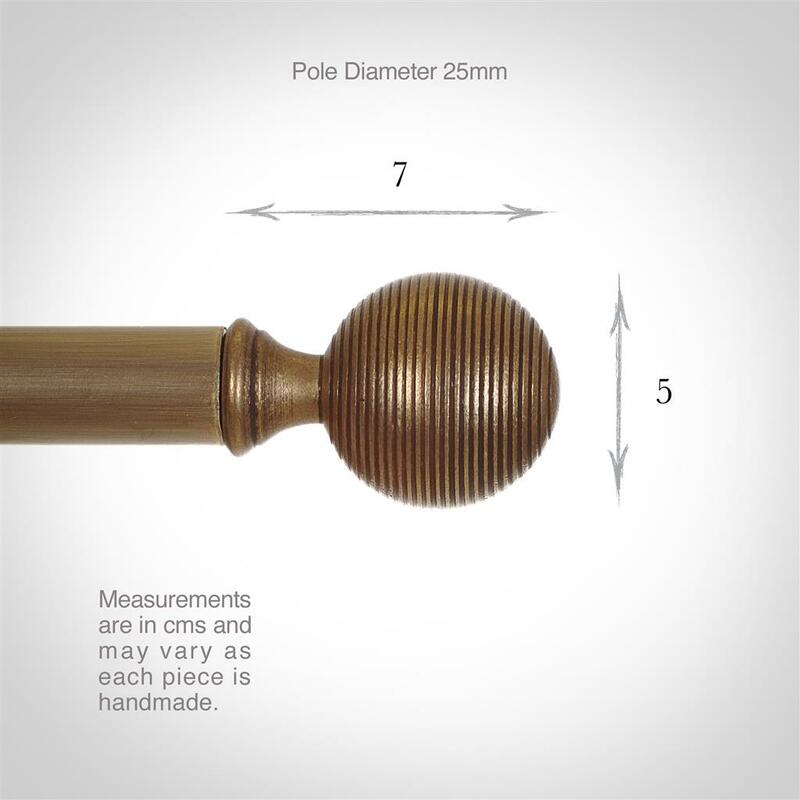 Handmade at Jim Lawrence from natural brass which has been lightly antiqued for a subtle, aged look, these finials from part of our stunning collection of brass curtain pole accessories, including centre and recessed brackets, rings and a wide range of lovely finials to personalise your look. Once fitted inside the pole, the finials can be fixed in place with a tiny grub screw that is located at each end at the back of the pole. All our products are made using traditional metal working techniques and are hand finished to the very highest standards here at our Suffolk workshop. We are very proud details of the design highlights the skill of our metal workers and their ability to make products that suit both contemporary and period properties. Antiqued Brass: A lovely natural finish created by treating solid brass with antiquing solution to speed up the natural tarnishing process to create a lovely aged look that will darken naturally over time. 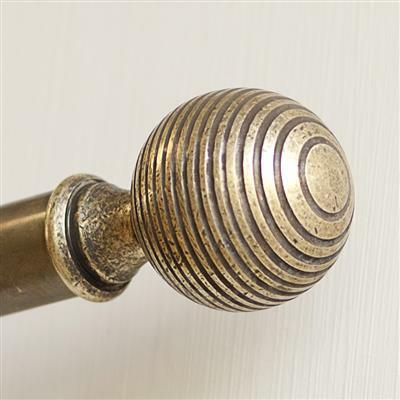 To lighten the brass just buff it occasionally with a small amount of brass cleaner to return it to its original hue. To find out more about our finishes and how best to maintain them, please check out our product finish pages. Our range of Antiqued Brass brackets and rings to complete your look. 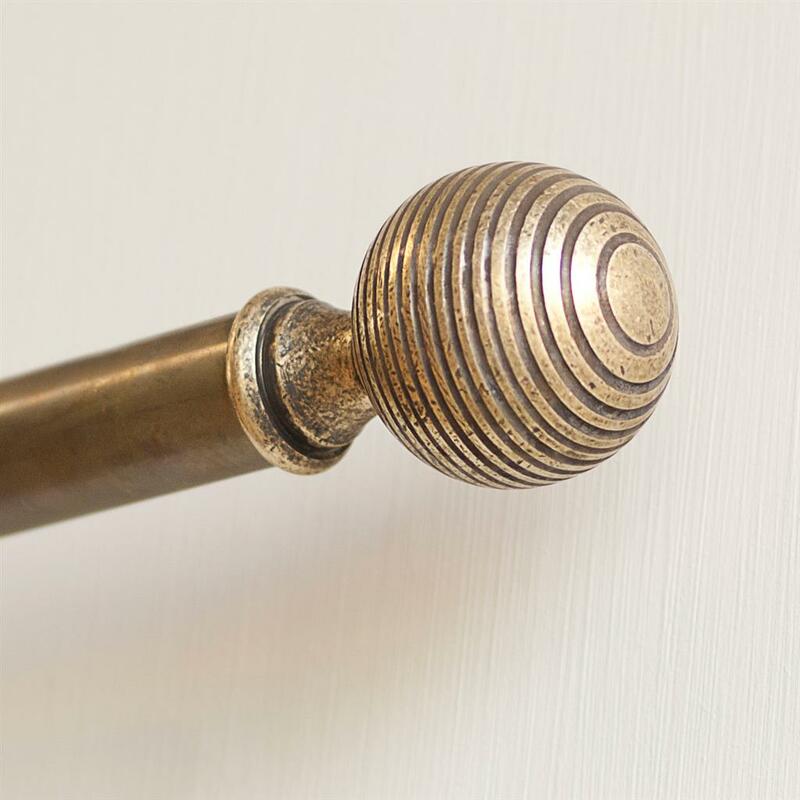 Match your poles with our selection of brass window latches and stays. For a uniform look throughout your home, shop our gorgeous range of Antiqued Brass door furniture and electric switches and sockets.